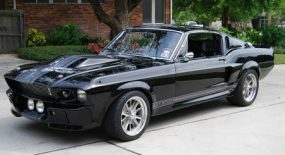 Classic Recreations, who are the only company officially licensed to build the cars with the ‘Eleanor’ name, announce this week that they have taken an order from a buyer in Moscow. The Russia-bound Eleanor is a hand crafted, custom-built supercar based on a rotisserie restored 1967 Mustang fastback outfitted with a full complement of cutting edge performance parts and luxurious interior appointments. Power comes from a 750 horsepower supercharged 427 cubic inch (7.0 liter) engine hand-built by Keith Craft and outfitted with digital fuel injection. The full array of Classic Recreations Eleanor standard features include exclusive Eleanor body panels, mirror-finish custom paint, adjustable coil-over suspension, climate control, custom gauges, hand-made alloy wheels, a top-shelf sound system and five-point racing harnesses. Additional owner-specified upgrades will include a hand-crafted leather interior, keyless entry, and custom in-dash DVD and satellite navigation. If you haven’t checked out their operation take a look here when The Oklahoman went on a factory tour. 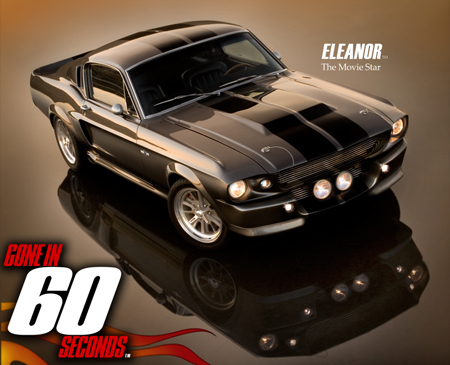 The OFFICIALLY LICENSED Gone in 60 Seconds Eleanor Mustang hand crafted by Classic Recreations was recognized as “Best of the Best” by Robb Report Magazine in June 2008. 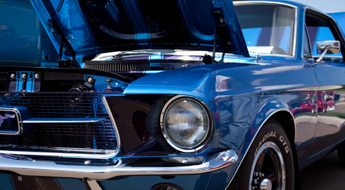 Classic Recreations founder Jason Engel, and his company’s team skilled technicians and craftsmen, have been modifying and custom fabricating high-performance vehicles for more than 10 years. Each built-to-order vehicle takes approximately four months (nearly 2,500 man hours) of painstaking assembly. 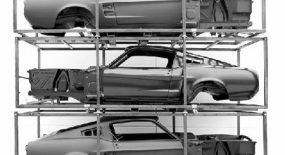 These high-performance Classic Recreations “Eleanor” Mustangs are available in Pepper Grey/Black, Red/White, Black/Silver, Yellow/Black and Blue/White. 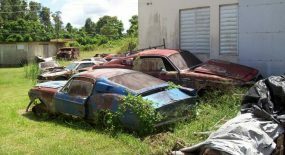 I have a 1967 Ford Mustang Fastback and I plan to convert it into an “Eleanor Mustang” but you don’t need to be SUPER RICH or RICH inorder to have one of these cars. You can have one for only $50,000 U.S Dollars. My dream was to always own one and its not going to be easy, but I always have faith when it comes to these things. 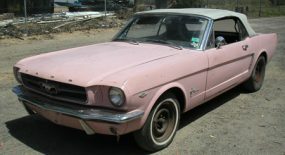 I’m 18 years old and own two 1967 Ford Mustangs. One is a Hardtop and the second is a Fastback. 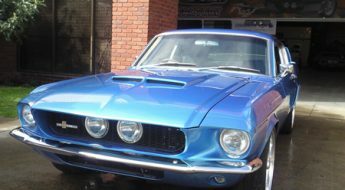 I intend to open up a business in restoring, tuning, and selling Classic Mustangs, Shelbys, Chevys, etc. I’m going to start this business within the next 5 years. 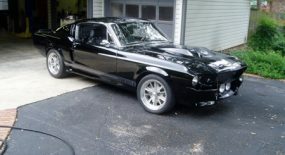 hayy im 17 and im a mopar girl but eleanor gets me everytime its so sleak and fast i would love to take that stick out for a ride!